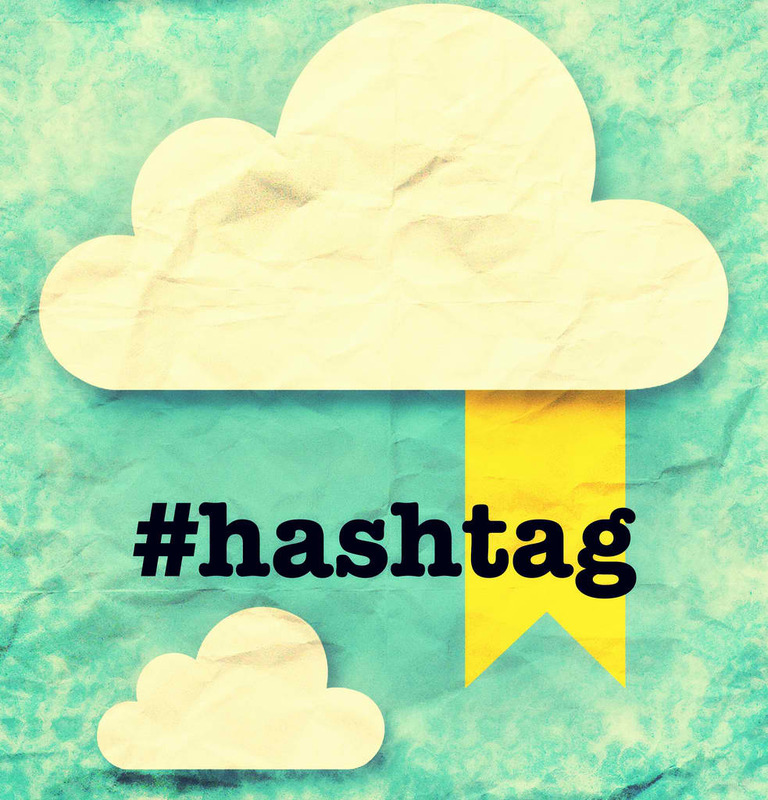 Hashtags, media and timing, oh my! Twitter is one of those spaces that can seem overwhelming. With so many tools that promise to automate your tweets, it sounds like that solves the problem. But automation is the last place you should go. The main reason is hashtags. This tweet from the UNHCR is a classic example, although it almost uses too many. Each hashtag puts you into the “channel” created by that tag. People who do not follow you on Twitter will see the tweet because they are reading that channel. Here, #video is useful, because there are students and professional video makers and social media experts constantly watching for new videos. The place names are useful because in any crisis, people watch the country or city name to track all the tweeters as they won’t know who is writing the best material until a few days into the event. They’ve turned their own name into a hashtag rather than an @ tag, because you’re already following them and besides, their actual name is @refugees. 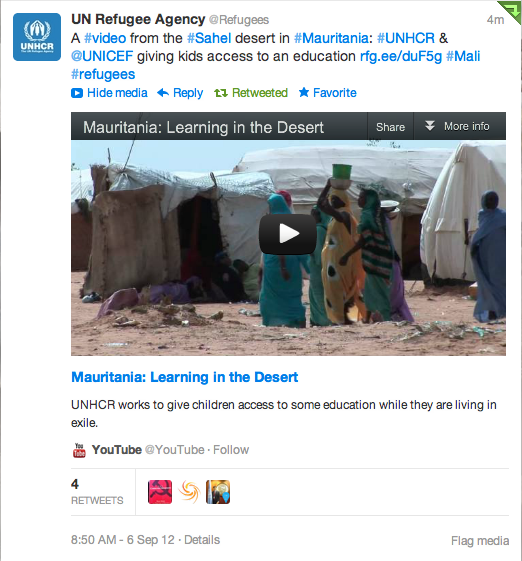 On the other hand, @UNICEF is tagged directly, just in case you’re not following them. Most of it’s in a sentence that makes sense, but there are two key hashtags that didn’t fit, so they didn’t force it but tacked them onto the end of the tweet as per convention: #refugees and #Mali. On top of that, they have their own URL shorterner which makes the web address reinforce the refugee message. There’s evidence that tweets with links are retweeted 17% more than those without and that video and pictures boost that even more. Combine that with the fine control over timing and you have a very compelling argument to hand-craft your tweets. first time I saw a hash # used in front of a tag as a name of a “channel” it was on IRC (Internet Relay Chat) in the 1980s. The grandaddy of internet discussion is probably Usenet … with millions of users across tens of thousands of servers worldwide participating in newsgroup discussions by the end of the 80s. yeah I’m old .. can still remember the days when .au was the land of .oz! One day out of many?